Who is entitled to apply for an allotment? 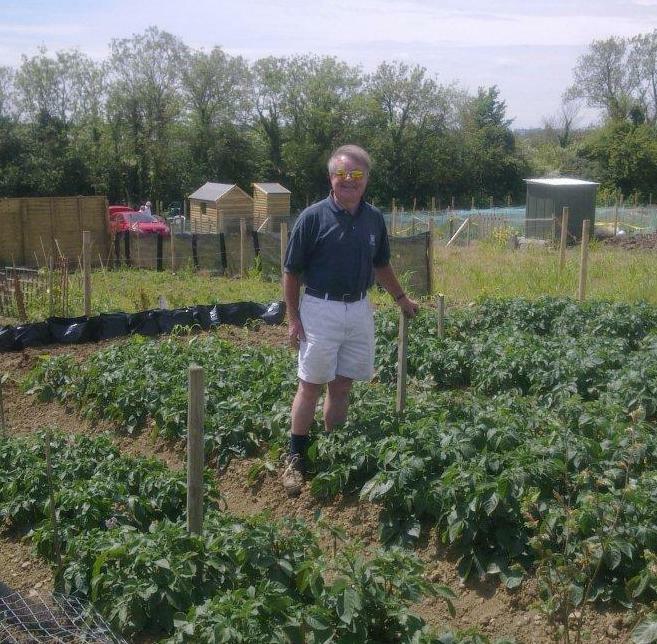 Applicants who wish to register for an allotment must apply for an allotment applicationf orm AL1 available from Fingal Co Co's Parks Division. Once you have applied, you will be placed on the waiting list (or provided with an allotment if one is available immediately). Vacant allotments will be offered by the County Council to applicants in order of application on the waiting list. Preference will be given to applicants normally residing in Fingal. The rent is paid on an annual basis and is determined by the size of the allotments and is set as follows: €50 for a 5m x 10m plot, €100 for a 10m x 10m plot and €200 for a 20m x 10m plot. The plots in Turvey are 50sqm (5m x 10m), 100sqm (10m x 10m) and 200sqm (10m x 20m). Ideally those 5 x 10 are for new growers starting our or an individual. 10 x 10's are ideal for a small family. The more experienced growers are capable of managing a 10 x 20 plot. Are there any on site facilities? Almost all sites provide running water, parking, and perimeter fencing. These, along with the land itself are the basic infrastructure of an allotment site and are usually the responsibility of the local authority. Storage facilities for tools and toilet facilities are often provided on many sites. Sheds can be erected but should not be higher than 2.2 metres and the total ground floor surface shall not exceed 9m2. How does the allotments system work? The basis of the system is a detailed contract, renewed yearly, between the County Council and the allotment holder. The allotment holder, in order to retain the plot has to show that he/she is making use of the plot for the purpose for which it was intended. The Council inspects the plots regularly and takes back plots which are being unused or neglected. If plots are deemed to be under utilized, overgrown or in reach of any of the conditions, warning letters will be issued and the council has the right to terminate the lease agreement. What am I allowed to grow? The primary purpose of an allotment is to grow any vegetables, fruit and herbs that you may need for your own private domestic use. Some flowers are also grown by allotment holders to improve the look of the plot and the allotment site, as well as having some cut flowers for the home. Flowers also encourage biodiversity on allotment sites. Obviously, to grow crops successfully and maintain a plot well a considerable time commitment is involved. Starting out with a plot there is often a big time commitment involved in getting the plot ready for cultivation. Generally, at least 4 hours a week is involved during busy periods in the main growing season (March-September). Many skilled growers spend a lot more time than this-and reap the rewards at harvest time. Frequent trips to the plot are important in identifying problems such as slug or bird damage at an early stage. Some approaches to gardening save a lot of time-for example "no dig" methods, or mulching around plants, which cuts back on watering the plot during the summer months. It is possible to ask a friend to help with watering, weeding etc if you are away on holidays for a few weeks. If the time commitment is too much and the council sees plots are not used, you may be encouraged to hand back your plot as soon as possible, so that someone who has been on the waiting list for a long time gets her/his opportunity at growing her/his own vegetables. Alternatively you could share your plot with another person who is interested. Holidays - Get to know your allotment neighbours. It's a great way to meet new people and make new friends. Also you'll discover that everyone has helpful information or contacts and ideas to help you on your way to a great harvest! Also when you plan to take holidays or cannot get to your plot to water your plants, you can offer to do the same for your neighbours when they are in the same situation, i.e. I'll water your plot when you're away and vice versa. Veggie Exchange - If you find you have too much of a crop and cannot give it away, email us here and we'll post on our exchange page that you have for example bumper crop of lettuce and looking to exchange for other fruit / vegetables. Alternatively if you also have too many seeds, seed potatoes, baby plants etc, let us know and we'll advertise on this site for you. Share equipment - We believe in a sense of community and helping our neighbours out when we can. Everyone has different tools and equipment, and if we all were to buy a full range of what is required, it would be a huge expense. Offer to lend out your equipment and also if you have a hose, leave it out and offer it to your neighbours who may not have one. Just ensure those who borrow tools - look after them and return in the condition they were lent to you.